COMMENT: UK air transport – We have reached the crossroads! Qantas has launched A380 services between Australia and Hong Kong – making it the fourth A380 destination in the airline’s network. Flight time is just over nine hours in either direction. Qantas operates the A380s in a four-class configuration with First Class Suites on the main deck, plus Economy, and the top deck predominantly fully-flat Skybed sleeper seats in Business, plus at the back a small Premium Economy section with wide seats. Qantas received its 11th and 12th A380s late last year, providing the additional capacity to support the Hong Kong services. The new aircraft have also enabled additional A380 flights between Melbourne and London (via Singapore) – up from six flights per week to daily – and between Melbourne and Los Angeles, up from four flights per week to daily. Newark New Jersey, the alternative airport for New York, has seen the arrival of the first British Airways Boeing 777-200 with the new long haul cabins. A multi-million pound refurbishment project will give the airline’s 18 Boeing 777-200s the same contemporary interiors as British Airways six brand new Boeing 777-300ERs. All four classes gain the kit plus the airline’s latest Thales inflight entertainment system. At British Airways maintenance base at Cardiff it takes engineers approximately a month, or 5,700 man-hours, to take out the old seats and interiors of the 777s and replace them with the very latest interior. Each aircraft has a staggering 13 kilometres of wiring removed and lightweight fibre optic cables installed to power the new entertainment system. With the announcement of a second Glasgow service to Dubai from June onwards Emirates Airlines will by mid-summer be offering just over 6,500 seats daily from the United Kingdom to its hub. Add the new Dublin service and the figures are really impressive. By early July the airline will have eight London departures daily (five from Heathrow, all Airbus A380s bar one), and three Boeing 777s from Gatwick); Birmingham will be two Boeing flights, whilst Manchester has a single A380 and two 777s. There is a single Newcastle non-stop Newcastle flight, serviced with an Airbus A330. Glasgow will be flown by a fuel frugal Boeing 777-300ER, the airline now operating an astonishing 64 in total, and a A340-300. In its role as the major international gateway to the United Kingdom, Heathrow has published a comprehensive document outlining its role in the London 2012 Olympics. What is very clear is that there will be no major changes in airline schedules and frequencies but clearly carriers will be issuing their own embargoes to ensure capacity for national teams and VIPs. Executive jets, both private and government-owned have very limited access at Heathrow and are banned for the period of the games including Air Force One. Olympians inbound will go through normal border controls but for departures Heathrow is building a temporary departure terminal and athletes can check in their luggage beforehand at the Olympic Village. Manx2, the controversial Isle of Man virtual airline, is to introduce on 8 May daily services from Oxford Airport to both Jersey and the Isle of Man. Created in 2006 by Noel Hayes, who had formerly run what is now Blue Islands airline in the Channel Islands, Manx2 is a travel operator who charters in licensed aircraft from various EU states to operate services. In February 2011 a Fairchild Metro aircraft, flying under the Manx2 banner, crashed at Cork Airport with six fatal casualties. The airline currently operates 15 routes including the Welsh Assembly backed service between Cardiff and Anglesey. Two former Mint Hotels at Manchester and Leeds have become 14th and 15th UK hotels to join the DoubleTree by Hilton upscale, full-service brand and are now welcoming guests at Manchester-Piccadilly and Leeds City Centre. The openings come within weeks of the DoubleTree by Hilton London-Tower of London and DoubleTree by Hilton London-Westminster also rebranding from Mint. The 285-room DoubleTree by Hilton Manchester-Piccadilly occupies a landmark site in the Piccadilly Place development. With an award-winning City Café, the stylish Piccadilly Lounge and elegant Blue Bar, the hotel offers guests a welcoming stay right at the heart of Manchester. 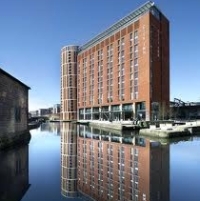 Overlooking the revitalised Leeds waterfront, the 333-room property is part of the architecturally renowned Granary Wharf area. Nestled between the working Leeds Liverpool canal and Leeds Railway Station, the hotel is ideally placed in the centre of Leeds, close to many cultural hotspots such as Opera North, Northern Ballet, Leeds Grand Theatre and the Victoria Quarter. Much heralded Virgin Australia has introduced Business Class on most domestic routes across the country. The offering includes new premium cabins with luxury leather seating and generous recline, a gourmet food and beverage service, as well as complimentary access to Virgin Australia’s lounges and priority security screening, check-in and boarding. Various versions match the airline’s fleet of Airbus A330; Boeing 737 NG series and Embraer aircraft. This is the third in our series REFLECTIONS FROM YOUR AVIATION LAWYER sponsored by London headquartered practitioners Gates & Partners. Jeremy Robinson discusses, as he puts it “Between rhetoric and regulation”. The timing could not be better with the Government announcing plans for consultation on a new airport for London. His discourse is fascinating and demonstrates that Government is for the most part political and in no way commercial. The main opponents of air transport are easy to spot because they say what they think: they espouse “fair” taxation (i.e. more taxes); less airport expansion; inclusion in the EU Emissions Trading Scheme, and more. Covert opponents tend to prevaricate, and use the twin weapons of double-speak and platitude. Amongst covert opponents of aviation we may count Government (in the UK, and in the EU). The problem with covert opposition is that it leads to bad regulation, either too extensive (in most cases), or too weak (in others). Some legislation was introduced to serve one purpose (apparently) but has been converted into something very different, for example, APD (Air Passenger Duty), ETS (Emission trading scheme) and EU 261 (see below). Regulation frequently occupies more than its allotted territory, creating obligations and costs where none were thought to exist before. The clearest example has been how the European Commission and Court of Justice have interpreted and widened the scope of EU 261. By contrast, the much-needed creation of a Europe-wide accident investigation system is still awaited. Equally, regulation operates stealthily, law by law, without considering how rules in one area create regulatory barriers to entry elsewhere, damaging the competitiveness of industry and consumer welfare. This article focuses on the use and abuse of language: George Orwell argued that the English language was becoming “ugly and inaccurate because our thoughts are foolish, but the slovenliness of our language makes it easier for us to have foolish thoughts.” How true is that of aviation policy? EU 261 was introduced primarily to deal with overbooking practices by airlines. It has been transformed through legal interpretation into a general exercise in extending consumers’ rights in air transport. Other industries are not burdened in like degree. This broad regulation has created a false opposition between airlines’ and consumers’ interests, when in fact their interests are more often aligned: the extra cost of unintended (or at least, not openly intended) regulation is found in the higher cost of air transport, to the disadvantage of both consumers and airlines. Fares rise: those consumers who still fly must pay higher prices in return for their extra consumer rights (so there is a loss of consumer welfare, scarcely balanced by their extra rights); airlines face falling demand and run fewer services (so there is a loss of producer welfare). 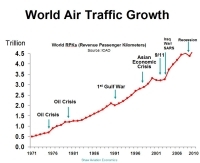 The only winners are those who oppose mass air transport. When the EU 261 review began, the Commission warned industry that consumer rights, once granted, could not lightly be removed. Consider the language used by British politicians to describe consumers: they are “hard-working families” (a variation is the “hard-pressed” family: presumably they are related); the consumer must be “put first” in the regulatory hierarchy of values. But how do we reconcile the “right” of the “hard-pressed family” to their summer holiday with the fact that aviation regulation and taxes make them yet more hard-pressed to take those holidays? How can politicians then say that the aviation industry holds the “keys to economic growth”? Surely, in large measure, industry and the consumer will stand and fall together? Overcrowding at airports (particularly in the South East of England) can be managed through reducing the demand for air travel, through efficient use of capacity, or through building more runways. Opponents of air transport are clear that demand for air travel must be “managed” (i.e. 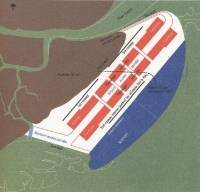 reduced) and therefore, new runway or airport development should be stopped. Demand management tools (i.e. mechanisms to increase air fares for consumers) include taxation and, although not admitted to, increasing the regulatory costs for airlines. Opponents rely in part on concerns that mass aviation may harm our environment. The UK Government asserts that aviation growth and environmental protection can be reconciled, but do not say how. “Willie [Walsh] and I have been on different sides of the aviation fence on this one, we both inhabit the same world of political reality. And the political reality is that the runway decision has been made, it’s done. But let me also say this. The decision we took on the third runway does not make this Government anti-aviation. The UK Government pretends that this is a question of balance, but it is not. If mass air transport emits a high volume of polluting gases, then “balancing” aviation and the environment means that aviation and the environment are not in balance now, because environmental concerns are inadequately addressed. To be clear, the environmental objection to aviation is not merely that pollution will increase if the industry grows; it is that pollution still exists while the industry exists. If one accepts this premise, then it is easier to justify existing taxes such as APD, devised originally (so we are told) as an “environmental” tax, as well as including aviation in the EU ETS. These must reduce the demand for air travel (not merely incentivise the operation of cleaner aircraft) if they are to be effective. So to reconcile aviation and the environment means (at a given level of technology) to reduce the amount of flying we do. “Does that make me anti-aviation? Far from it” is at best wishful thinking; at worst, disingenuous. Proper regulation must address problems proportionately and adequately. If the EU’s approach to consumer rights is disproportionate, its approach to accident investigation is inadequate. Regulation 996/2010 concerns the investigation and prevention of accidents in civil aviation: plainly nothing is more important in civil aviation. The initial proposal was to create a European Civil Aviation Safety Authority. This was dropped in the final version. Instead, Member States will continue to operate distinct systems, loosely woven together in a “Network” of Civil Aviation Safety Investigation Authorities. This obscures the very different levels of sophistication, maturity and level of skill of the national Accident Investigation Boards. The Network itself has a role in “promoting the sharing of information useful for the improvement of aviation safety and actively promoting structured cooperation” between the various authorities. They must also promote best safety investigation practices “with a view to” developing a common Union safety investigation methodology and drawing up an inventory of such practices. The phrase “with a view to” means that much remains to be done. It is true that the Regulation imposes onerous obligations on operators: for example, to assist victims of air accidents and their relatives; to have appropriate plans in place to include the psychological support of victims and their relatives; and to provide a validated passenger list within two hours of an incident. This is still not enough. There is no standardisation of qualifications for accident investigators internationally nor adequate means to ensure proper continuing competence. It is unclear whether the provisions of Regulation 996/2010 are adequately enforceable. In this area at least, further harmonisation, carefully prepared, and this time following full consultation with the industry, is urgently required. Low-cost travel, affordable holidays to far-off destinations, intense competition between carriers: the consumer in Europe has benefitted enormously from liberalisation in the last 20 years. This is all at risk. The aviation sector has always operated on the margins of profitability, and this problem is exacerbated by the increasing regulatory burden. To begin to solve the problem, we need three things: a clear and objective basis for comparing the environmental merits of different forms of transport, to inform a balanced environmental policy. We need regulation that takes the industry as a whole, not in parts. Above all, we need honesty and clarity from governments about their aviation policies. It does seem to be that the Government has been galvanised into some sort of action regarding Britain’s current position as the hub of the world’s airline networks. If “galvanised” is the right word. Downing Street has recognised that an aviation policy is required and “off the record” we are being reminded that a consultative process is under way, the results due to be published at the end of March. The timetable then gives 12 months for discussion. That takes us up to March 2013. The next Election is due May 2015. Will Parliamentarians be more interested in their seats by then? David Cameron is said to be supportive of London Mayor Boris Johnson's alternative to further developing Heathrow but will await the outcome of the consultation. 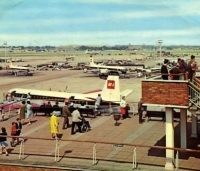 The Lib Dems oppose airport expansion in south east England. Let us hope that at last Mr Cameron has actually recognised that air transport is the engine room that makes everything else work. We cannot let the 21st century UK airport problem drag on any longer. In this issue of AERBT we learn the history of Maplin in ON TOUR. If the Prime Minister of the time (Harold Wilson in a minority government) had stuck to his guns we would not be in the mess we are now. The problem is the publication of the consultation could just finish up as just another bureaucratic step. Utterances by Boris last week resulted in a rush of support in some quarters and the opposite by others. However it was a paper published Friday by new (2010 intake) MP Kwasi Kwarteng, Conservative, that really caught the eye. Representing a constituency that certainly must be considered a Heathrow neighbour, Mr Kwarteng makes some valuable points. 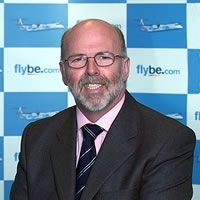 AERBT has summarised his discourse below (Case for Aviation by the Free Enterprise Group) but if your interest is as a traveller, a business person, or connected in some way with the industry, do take five minutes to read the piece. It’s a breath of fresh air in political terms. We have reached the crossroads with air transport in the UK. Decisions must be made. And quickly too. Last Saturday ANA introduced the Boeing 787 into European scheduled operations with a 12-hour non-stop flight from Tokyo Haneda to Frankfurt. Initially the airline will fly outbound from Frankfurt on Saturday, Monday and Thursday. To date ANA has taken delivery of five Dreamliners but expect to have 20 (out of 55) in service by the end of March 2013. With four aircraft operational it is the 787s first long haul route. ANA also flies a daily Frankfurt service from Tokyo Narita using a Boeing 777-300ER for these flights. It is not often that an MP in the Heathrow catchment area either has an idea of what air transport is all about (and AERBT will not mention any names) or comes down in support of the airport. Kwasi Kwarteng is the Member of Parliament for Spelthorne. The Surrey Borough includes Ashford, Shepperton, Staines, Stanwell and Sunbury, all very close to the world’s busiest international aviation centre. 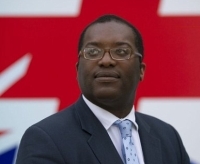 Of Ghanese background Kwasi Kwarteng gained entry to Westminster in the 2010 General Election. With a background of Eton and Trinity College Cambridge the articulate Mr Kwarteng has been described by a local paper as a “black Boris”. Claiming to be Europe’s largest regional airline and the UK’s number one domestic airline, Flybe will operate an additional six brand new routes from the start of the summer season. Based in Exeter the carrier, which includes as a minority shareholder British Airways, offers a total of 208 routes across its network. The airline's share price seems to have steadied at around 60p (from a high of £3.45). The new routes are Newcastle to Newquay and Bergen (Norway); Belfast City to Newquay; to Knock and Waterford from Leeds and Birmingham respectively, and from Southampton to Tours in France. Etihad Airways has officially introduced in-flight connectivity for the first time. Four aircraft – three Airbus A330-300s and one Airbus A320 – have been equipped so far. During the launch phase, Etihad will offer in-flight mobile and tablet connectivity from US$10 and laptop wi-fi from US$20. Mobile telephone calls will be charged according to the international roaming rates of guests’ mobile network provider. On the A320, passengers will have full connectivity, enabling them to use their own mobile phones and Smartphones to make and receive phone-calls, send and receive text messages and emails, and access mobile data services. The A320 is used primarily for short haul routes throughout the Middle East, and some mid-length routes including Athens, Cochin, Bangalore, Istanbul, Minsk, and Mahé in the Seychelles. The A330-300s are used for long haul destinations across the network, including Casablanca, Frankfurt, Geneva, London, Paris and Seoul. Hong Kong Airlines has cancelled its Moscow Sheremetyevo service. There were indications that this route would return for the summer schedule but it is not listed. China Airlines effective 25 March will drop its twice weekly Taipei – Heathrow route and are offering a codeshare with KLM. American Airlines is cancelling its Chicago – New Delhi operation also from the same date. Other long haul routes being stopped include Etihad Airways Abu Dhabi to Cape Town via Johannesburg. Delta Air Lines has announced that it will be suspending its Atlanta – Shanghai, and Lufthansa Frankfurt – Guangzhou. 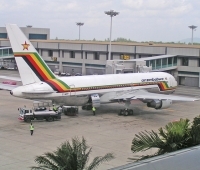 Air Zimbabwe has suspended its Harare – Gatwick flights effective immediately. One of the airline's Boeing 767-200s was impounded at Gatwick recently over unpaid debts. Also in the UK, KLM is dropping the three times daily Liverpool – Amsterdam route from the end of the winter season. 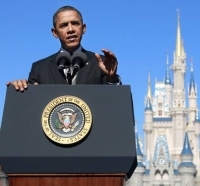 Under an Executive Order, signed by President Obama, the United States is to significantly step up initiatives to increase inbound tourism. It is part of a US job creation scheme. A Task Force, currently named BrandUSA, is being created to co-ordinate efforts. According to official government figures the number of travellers from emerging economies with growing middle classes – such as China, Brazil and India – is projected to grow by 135%, 274%, and 50% respectively by 2016 when compared to 2010. Nationals from these three countries contributed approximately US$15bn and thousands of jobs to the US economy in 2010. In addition, Chinese and Brazilian tourists currently spend more than US$6,000 and US$5,000 respectively each, per trip. 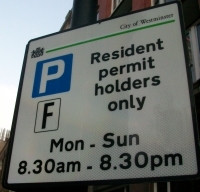 Visitors to London, residents, and businesses involved with evening commerce, will be pleased to learn that Westminster City Council, responsible for roads in much of the central area, have backed down on plans to charge for street parking on a 24-hour basis. Under current legislation vehicles can park for free on single yellow lines from 18:30 in the evening onwards Monday to Friday, and at certain times (depending on location) at the weekends. This will now continue. The following has been sent in – unsigned. I would like to share with you all an experience that I recently had regarding drinking and driving. As you would know, most of us have had brushes with the law on our way home before. Well, I for one have done something about it. Having had a few too many wines and knowing full well I was struggling, I did something I've never done before. I took a bus home. I arrived home safely and without incident, which was a real surprise as I have never driven a bus before. Fancy an Airbus A380 for your personal transport? “That will be $389.9m sir.” Plus or minus, after deciding how you want the interior to be fitted out. There might be some discount too, it being very unlikely that Emirates paid that price when buying 100 copies. The problem is that Boeing is embarrassed. 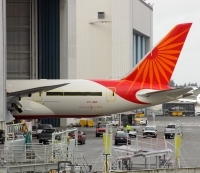 Air India’s accounts became public last week with the airline noting that it paid just under US$110m for its first 787. The list price, available on the internet, is US$193m. Special bank loans can reduce the final fee to as little as US$95m with engines. Airbus has published its 2012 prices. John Leahy, Airbus Chief Operating Officer, Customers, says that this represents a price increase of 3.9% except for the A320Neo Family which rises by an average of 6.1%. 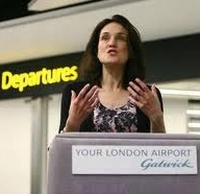 Last week Aviation Minister Theresa Villiers introduced a Civil Aviation Bill into Parliament. It will be fully debated on 30 January. 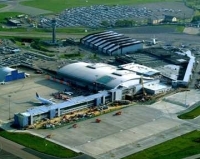 Villiers said the wider powers in the Bill “will put the needs of passengers unambiguously at the heart of how our major airports are run.” Under the new rules, the CAA (Civil Aviation Authority) will be able to intervene much more quickly when an airport is failing passengers, for example on winter preparedness. The core of the legislation redefines the role of the regulator, the CAA, giving it a single primary duty to promote the interests of passengers – as opposed to all airport users as is the case now. The CAA will also become responsible for overseeing aviation security, although the Government will retain control of security policy. However its cost will be transferred from the Treasury to the aviation sector. One important clause in the Bill proposes to bring holidays sold by airlines into the ATOL (Air Travel Organisers' Licensing) insurance scheme, an idea supported by ABTA. Just before Christmas Gibraltar finally, but only partially, opened its new air terminal. The event virtually coincided with a change of government, the new Alliance group, perhaps taking a leaf out of Westminster, questioning the project and the continuing work on the road approach and tunnel under the single runway. 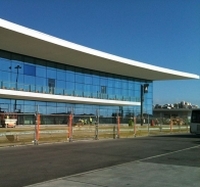 The new, and old terminals, sit on a small piece of land between the runway and Spain. Presently travellers are not only held up when crossing the border, depending on the Spanish mood, but also for landings and take offs. Presently the (380,000 sq ft) new structure is only being used for arrivals with two carousels working, those bound for Spain having to personally take their luggage across the border. Under an agreement signed in 2006 a common gateway was to be created but mainly due to Spanish intransience (and lack of money) this has failed to be implemented. With the publication of a dedicated website setting out its plans for the future London Luton Airport Ltd (LLAL) says that it sees a finite airport capacity of 18m passengers per year using the existing runway. This is about twice the present throughput estimated at 9.6m for 2012. A consultation process will run until 5 March and will include a series of public exhibitions around the region. The project seeks to optimise the capacity of the existing airport and LLAL will consider what modifications and improvements will be required. This will include consideration of areas including the aircraft taxiways, aprons, piers and parking stands, the road network, airport car parking and the passenger terminal. 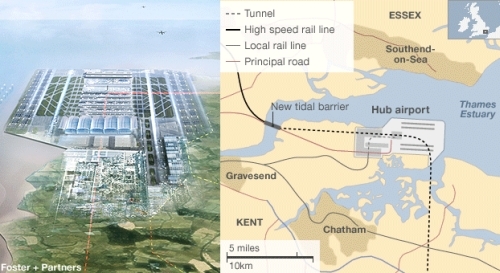 A previous scheme for a new runway has been dropped but the airport’s location, close by the M1 and current West Coast rail line still makes it a possible contender as the future lead London gateway. 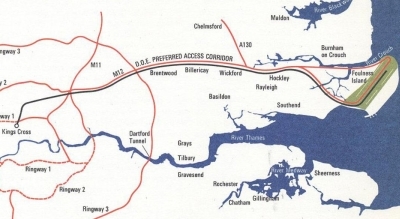 However plans for a motorway style link and rail connection to the A1 and East Coast train system have also been seemingly discarded. Claimed to be the UK’s fastest growing hotel company, Travelodge will open 41 hotels (3,610 rooms) this year. These new properties, at an investment of £246m, will boost the company’s estate to 537 hotels and over 39,000 rooms. Eleven of the 41 new Travelodges are located in London – further cementing the company’s position as the largest hotelier in the capital. Included in these openings is Travelodge’s 500th hotel at Stratford which is scheduled to be unveiled this February. Half of these London properties will be open before the end of July, including London Greenwich and London Excel Centre. 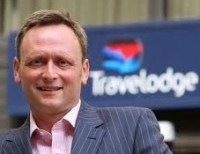 Guy Parsons, Travelodge Chief Executive, said: “The demand for good quality budget accommodations is growing at such pace across the country, that we have added 146 new UK locations to our target requirements list. Therefore we can build more hotels in the locations where consumers need them. Virgin Atlantic has now replaced its “highly collectable” salt and pepper sets in the Upper Class cabin. The previous pieces became so sought after they are appearing on eBay for up to £20 each. But the new replacement pots are not to be stolen. To ensure the pots are not pinched, cabin crew have been instructed to collect the new shakers after each meal service. The brand new sets, which are sure to be a crowd pleaser, have been inspired by a classic cocktail shaker. 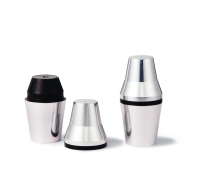 Made of chrome and 66mm tall, it snaps apart to become an individual salt and pepper shaker.